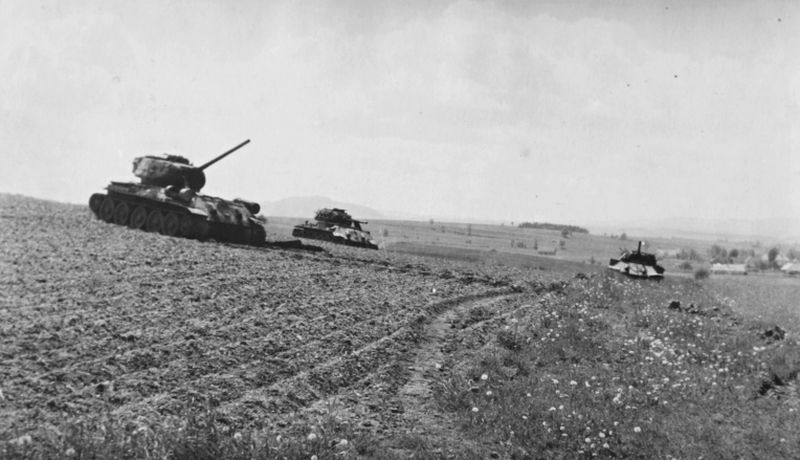 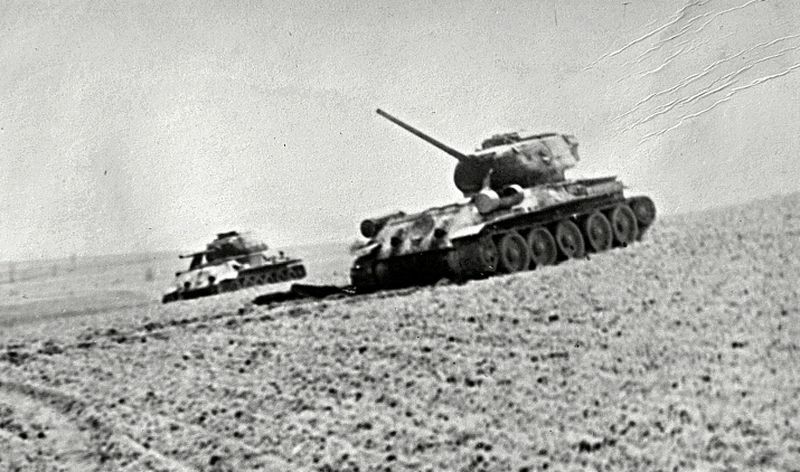 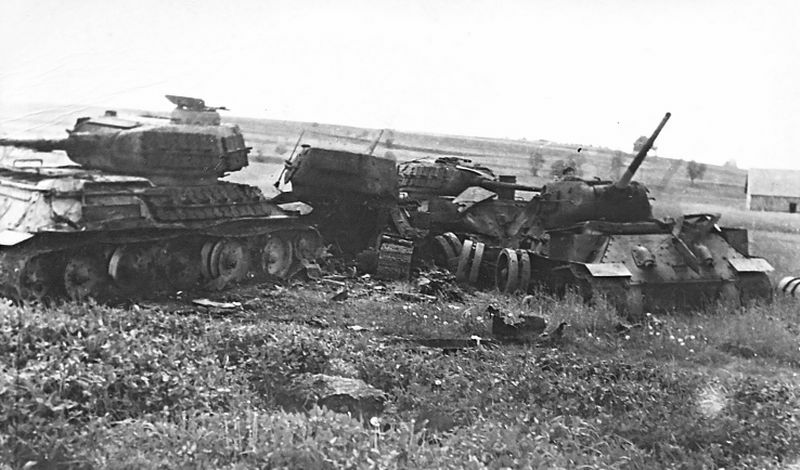 Destroyed germans T-34/85 tanks near Vyprachtice (Weipersdorf) in 1945. 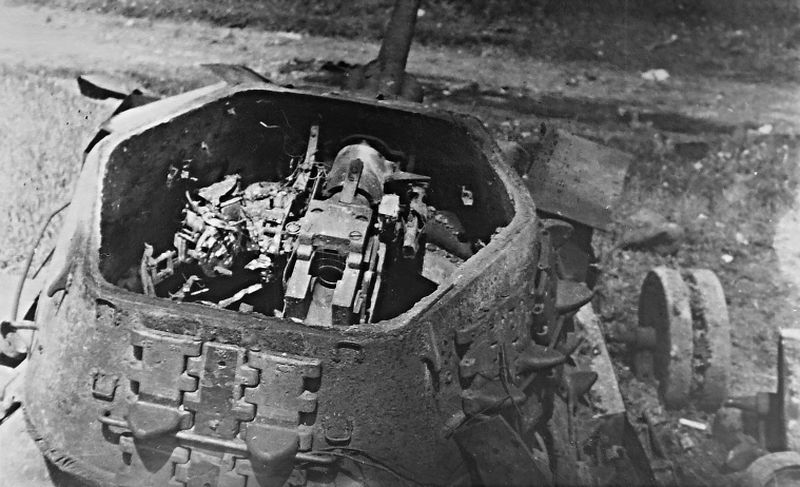 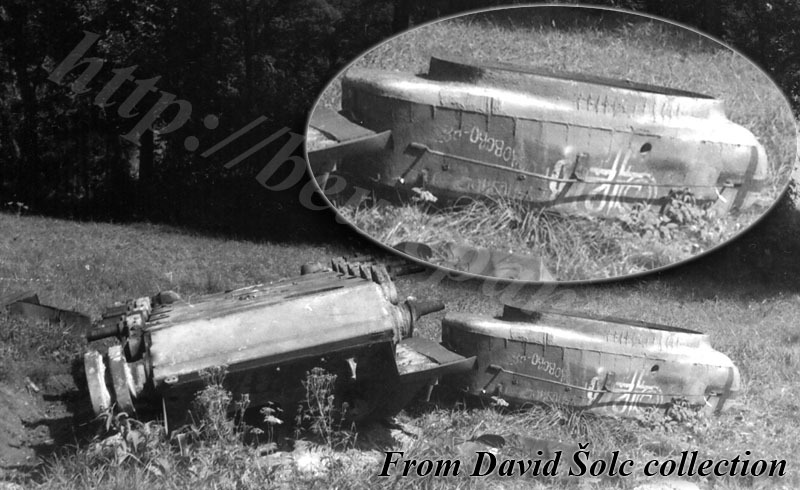 The explosion-damaged trophy tank T-34/85 near Ramzovske sedlo (Jeseniky). 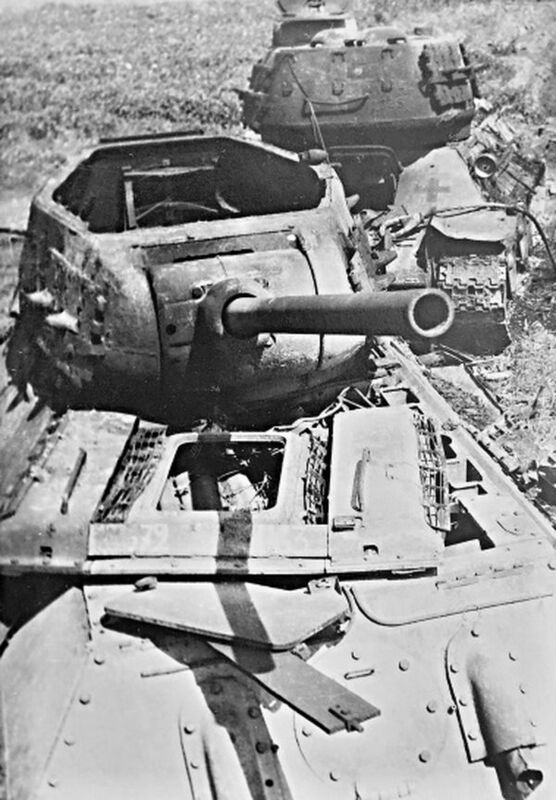 Probably the tank belonged to the capture of the 7th Guards Tank Corps.